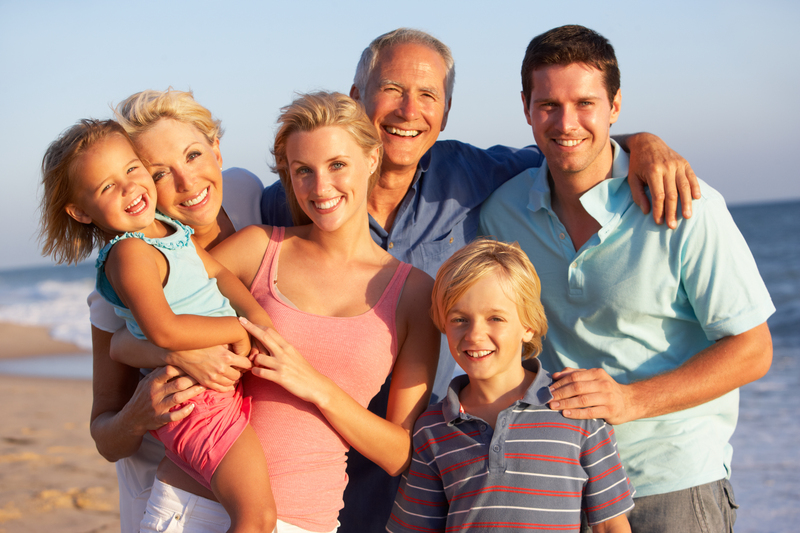 At Oakwood Dental, our commitment to dental health and wellness extends to all members of your family -- whether their smiles need simple cleanings and maintenance, or advanced decay and gum disease call for more comprehensive restorations. Our Thousand Oaks family dentist, Dr. Laura Bucci, and her team work hard to maintain a relaxing atmosphere of gentle care, so all patients feel welcome. We offer treatments to prevent dental caries, periodontitis, and other common dental issues that present in all ages. Children who visit our office are provided with tips and tricks on how to keep their smiles clean at-home and how to make good choices about the food they eat. Teenaged patients who are active in sports, or who develop teeth grinding habits, are provided with sports mouthguards and nightguards to prevent damaging their smiles. To help teeth stand up to the effects of acid and bacteria that produce decay, Dr. Bucci can also provide sealants that prevent the accumulation of debris on the pits of children's’ teeth, and fluoride rinses. With these treatments, patients’ smiles are more resilient so they can enjoy better health for years to come. For older adult patients, Dr. Bucci customizes a plan of care to meet their specific needs. Some mature patients may have older and failing restorations or may need more frequent treatment to prevent gum disease. We understand that it may not always be comfortable for our senior dental patients to sit in our dental chair with their mouth open for long periods of time, so we take breaks as patients need them and never rush anyone through an appointment. Our senior dental services include crown and bridge restorations, dentures, periodontal disease treatment, and fixed bridge to keep your smile looking and feeling its best. For patients in good medical health who are anxious about their procedure, we can also provide oral conscious sedation. As soon as your child turns one year old, Dr. Bucci welcomes them into her Thousand Oaks family dental practice for a variety of procedures that protect their teeth well into adulthood. Children can watch movies or TV while their smiles are being looked after, or they can listen to music to help them feel more at home. Depending on your child’s needs and their current oral health condition, Dr. Bucci can provide pulpotomies for infected teeth, spacers to maintain alignment or create the right conditions for later orthodontic care, tooth-colored filings for pediatric dental caries, or even extractions. The team at our Thousand Oaks family dental office look forward to meeting you and helping all members of your family benefit from confident, healthy smiles. Contact Dr. Bucci today for more information on children's’ dental services and care for senior dental patients. Schedule a visit today!